The 65-year-old musician - who has criticised the Queen of Pop before - launched his latest scathing attack on the 53-year-old singer on Australian TV show Sunday Night. Elton said: "Why is she such a nightmare? Sorry, her career is over. Her tour has been a disaster and it couldn't happen to a bigger ****." Madonna has received criticism during her current MDNA world tour after exposing her breast on stage and waving guns. 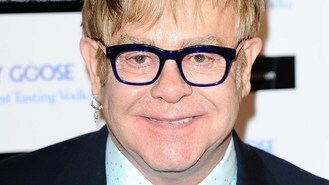 Elton also took objection to Madonna's swipes at Lady Gaga. Madonna has implied on several occasions that Gaga's hit Born This Way is a copy of her 1989 single Express Yourself. Elton continued: "If Madonna had any common sense she would have made a record like Ray Of Light and stayed away from the dance stuff and just been a great pop singer and make great pop records, which she does brilliantly. "But no, she had to go and prove... she looks like a f***ing fairground stripper. She's been horrible to Gaga." Gaga, a self-confessed Madonna fan, is godmother to Elton's 19-month-old son Zachary with partner David Furnish.